Today, Ashford School students got to ask their questions to an astronaut floating about 250 miles overhead on the International Space Station. Astronaut Serena M. Auñón-Chancellor, flight surgeon on Mission 56/57, answered 16 student questions that ranged from "Do you wear sunscreen into space?" to "What is the hardest thing about having 0 gravity?" to "How many flips can you do?" Students used a special Amateur Radio to make a direct contact. The National Association for Amateur Radio (AARL) helped provide and set up the equipment. Joe Carcia, Kris Bickell, Ally Riedel, David Isgur, and Michelle Patnode all came for the big day to help facilitate the contact. In addition to our ARRL radio representatives, several members of the Eastern Connecticut Amateur Radio Association (ECASA) also came to lead the contact. Bernard served as the main contact, and Ryan and Joe were also on hand leading the contact. Our whole school gathered in the cafeteria, and students who had been selected to ask a question gathered by the stage, each waiting their turn to approach. We all listened with bated breath as Bernard began the contact: "This is KZ1, ISS, this is KZ1, do you copy?" When we first heard Astronaut Serena M. Auñón-Chancellor, everyone broke out into smiles and gave the thumbs up signal. Despite our excitement, everyone stayed absolutely quiet so we could hear her answer our questions! 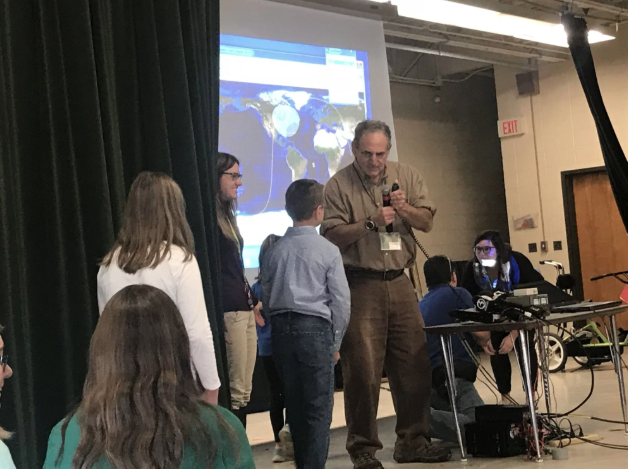 We are so incredibly grateful to ARISS, ECARA, and ARRL for making this possible for the entire Ashford School community. Our students were literally bursting with excitement at the end of the contact, and many staff members were driven to tears over the wonder they felt during this contact. We even heard many students exclaiming that they wanted to be astronauts as they headed out of the cafeteria and onto the rest of their school day. Look out universe- here comes the Mars Generation! Check out these photos that our students requested from the International Space Station through Sally Ride's EarthKAM. The photos are a bit cloudy but that is the view from Space. Locations range from East Africa to Chile. This week students at Ashford School prepared to be part of the Mars Generation. Thanks to a generous donation from Buzz Aldrin's ShareSpace Foundation, our school now has a Giant Mars Map which is great for exploring, programming robots, practicing mapping skills, and preparing for life on Mars. 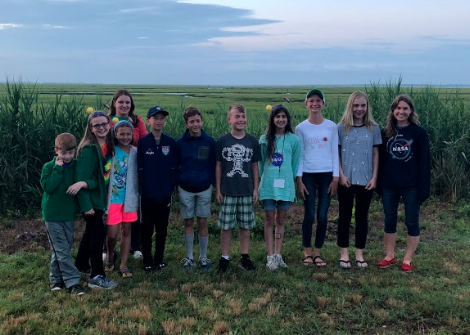 Ashford students and teachers on the launch site at NASA Wallops. Ashford students eagerly await launch. 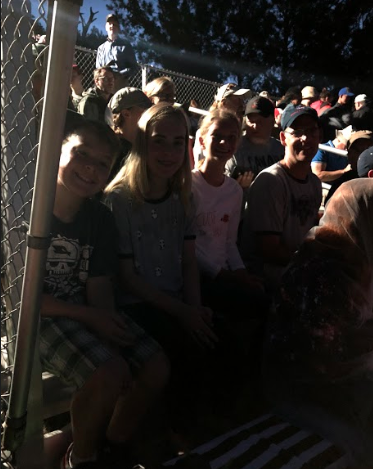 We got the opportunity to watch a couple of test rocket launches as the sun rose, and then came the countdown for the big show! 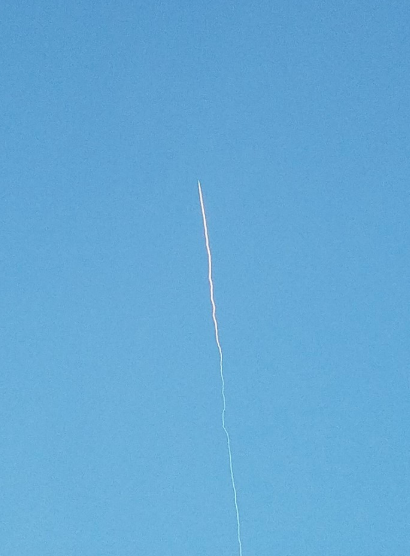 You could hear lots of cheers, and everyone was so excited to see the rocket go up! We are looking forward to learning more about the results of our experiment in the next few weeks! What a fantastic learning opportunity for us all- thanks again to Amber, Richard, and everyone on the iDoodle/Cubes in Space Team for making it all happen! 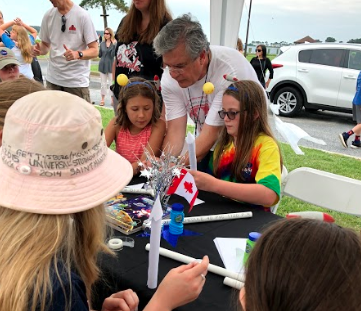 Richard, CEO of iDoodle, helps Ashford students make rockets at the Cubes in Space picnic. 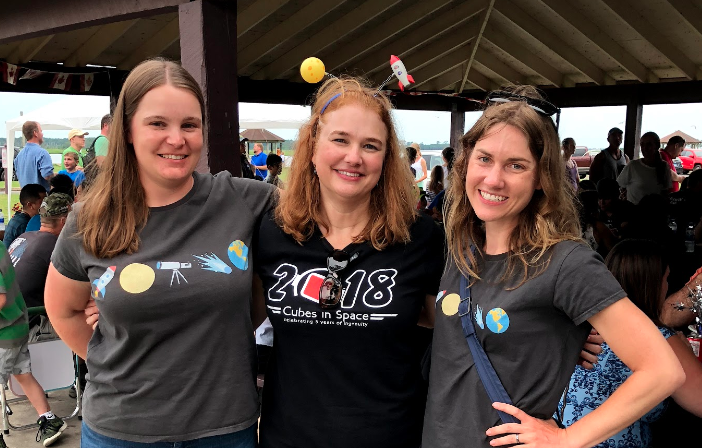 Amber, President of Cubes in Space, poses for a picture with Ms. Imhoff and Mrs. Craven. 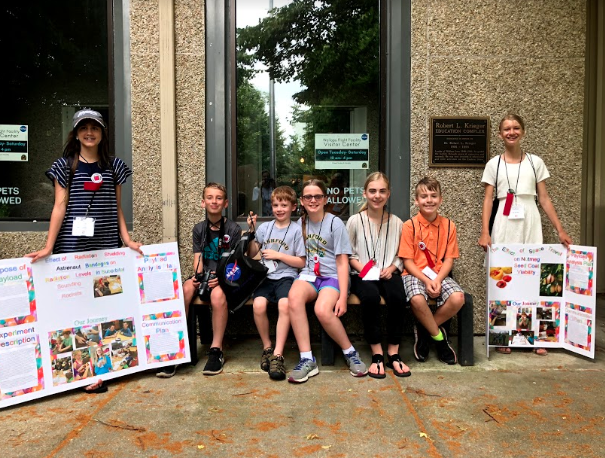 We got a chance to hear a brief overview of the day, and then students headed out to their exhibitions where they got to share their experiments with the scientific community. There were several scientists and engineers in attendance, including the Director of NASA Wallops! Above: Ashford students present the Astronaut Bandage experiment. All of the student groups we saw did an unbelievably fantastic job explaining their experiments and sharing what they learned with the world. We saw experiments that ranged from how honeybees would survive in a suborbital flight, to what art might be created sending crayons on a suborbital flight, to how near space conditions affected cocoa beans. In attendance were students from all over the world, including Canada, Ecuador, Saudi Arabia, and the United States! ​We were so impressed with them all!!! Ashford students present the Nutmeg seed coat experiment. We cannot thank everyone Ashford School enough for being supportive of our Cube experiments and our student presentations! We are also profoundly grateful to Cubes in Space and everyone at iDoodle learning for sponsoring such an amazing opportunity for our students. This past year has been the experience of a lifetime for our students (and us too!). I think we have a whole new generation of scientists, engineers, and astronauts headed out into the world! Look out NASA: here comes the Mars Generation! 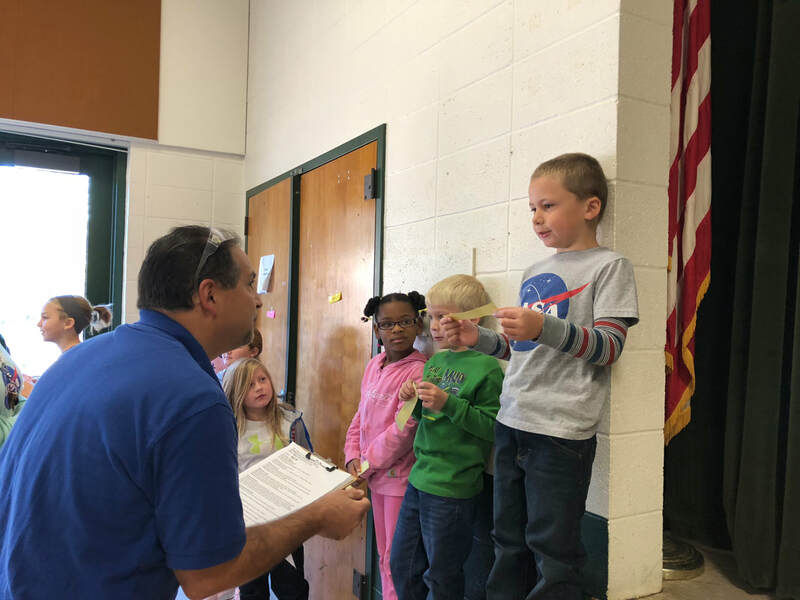 Students in kindergarten through eighth grade are preparing their experiment for launch on a NASA Sounding Rocket next month. The students designed two experiments. One experiment tests the amount of space radiation blocked by a regular bandaid compared to a special radiation blocking bandaid designed by the students. The other experiment tests how dry Nutmeg (because Connecticut is the Nutmeg State) seed coats become during space travel and if an artificial seed coat would be more effective in preventing dryness and increasing nutmeg seed viability. We'll update you on the results after the NASA Rocket launch in June! 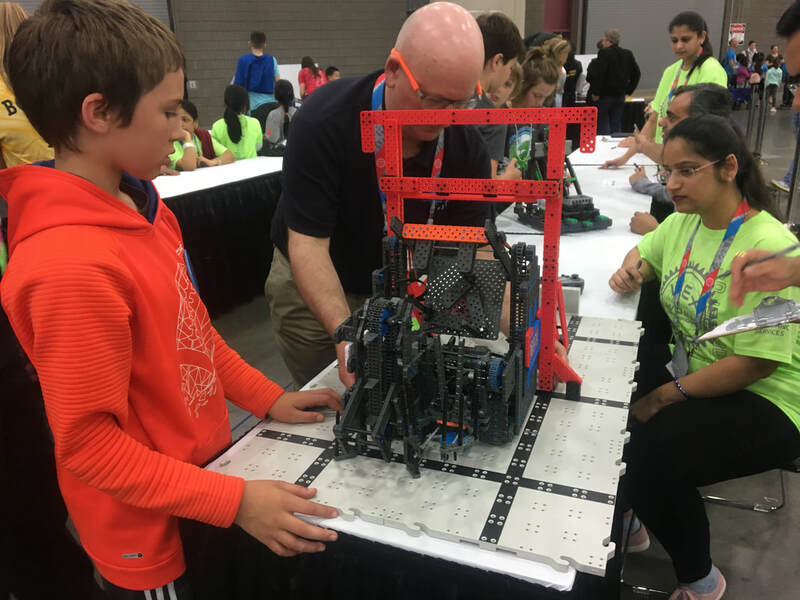 The Ashford School Elementary Robotics Team made it to the VEX IQ World Championship earlier this month. This is the largest robotics tournament in the world. Check out the video below to learn more about the team's adventure. Amateur Radio connects kids, crew as ISS orbits overhead. 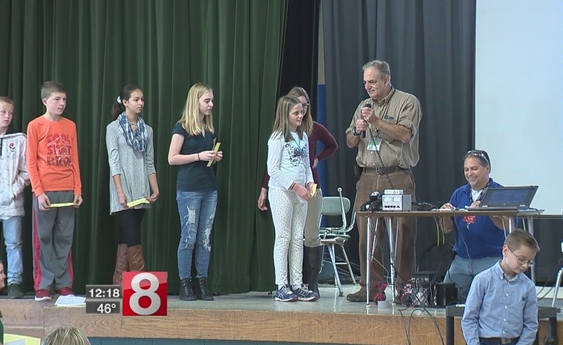 Students at Ashford School will talk with astronauts on the International Space Station via Amateur Radio. This activity is part of the ARISS (Amateur Radio on the International Space Station) Program, which promotes learning opportunities as part of the STEM (Science, Technology, Education and Math) initiative. Our school was one of only eight schools across the country to be chosen for this once in a lifetime experience! ARISS is a joint venture by NASA, the Center for the Advancement of Science in Space (CASIS), the American Radio Relay League (ARRL), and the Radio Amateur Satellite Corporation (AMSAT) to facilitate communication via Amateur Radio between astronauts aboard the International Space Station and schools and communities around the world. ARISS programs excite and motivate students in a one-of-a-kind presentation and exchange. Inspiring an interest in STEM (Science, Technology, Engineering and Math) subjects and in STEM careers among young people. Providing an educational opportunity for students, teachers, and the general public for learning about wireless technology and radio science through Amateur Radio. Providing an educational opportunity for students, teachers, and the general public for learning about space exploration, space technologies and satellite communications. Amateur, or “Ham,” Radio, is a popular service and hobby in which federally licensed participants operate communications equipment. There are over 700,000 licensed amateurs and nearly 2,300 ARRL-affiliated Amateur Radio clubs in the United States. Hams talk to each other across town, around the world, and even into space without the need for normal communications infrastructure, such as cell phone networks or the Internet. Amateur Radio is regularly used during natural disasters to help local emergency and served agencies (such as the Red Cross, Salvation Army, and state and local governments) respond when normal communications methods are disrupted. The Amateur Radio community is a great source of electronics experimentation, public service, and fun. More information on the ARISS program can be found at www.ariss.org. More information on Amateur Radio can be found at www.arrl.org/what-is-ham-radio. 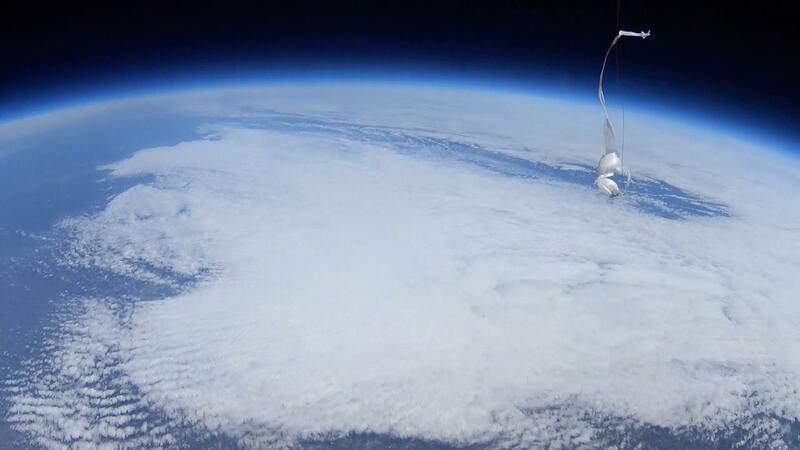 ​Space is a very exciting subject for students. We have been leveraging the topic of space to make other STEM topics exciting too. One topic that is hard to make engaging is financial literacy but financial literacy is an important subject that is rarely taught in school. So, to take on this challenge, Ms. Manfre, Mrs. Craven and Ms. Imhoff have been finding areas where space and financial literacy intersect. For example, our Stock Market Game students have been interested in ways to invest in the private space industry. Although it is not possible to buy stocks of Space X (which our students would very much like to be able to do), students can invest in many companies that are contracted with NASA. Our students are of the age where they may be the first generation to colonize Mars. 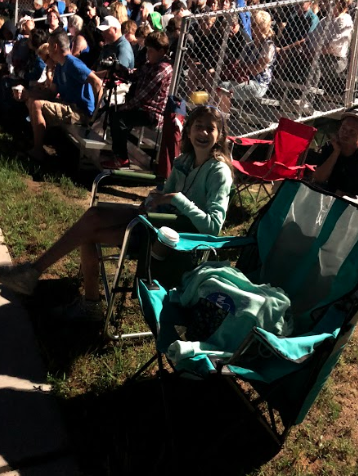 NASA calls these students the “Mars Generation.” As the private space industry is growing, we will continue to make connections between the students’ interest in space and financial literacy. When we were at the NASA Johnson Center, we saw lots of examples of private industries at NASA. When I was touring the Neutral Buoyancy Pool that astronauts use to simulate being on the International Space Station, there were employees from several oil companies practicing for when they may have to fix oil leaks in the ocean. We heard from pharmaceutical companies about how they have been partnering with NASA on research that can help people with diseases here on earth. In addition in NASA keynotes, Space X was regularly mentioned as a way to expand space exploration. Do you have any connections between financial literacy and space? We would love to hear them; comment below.